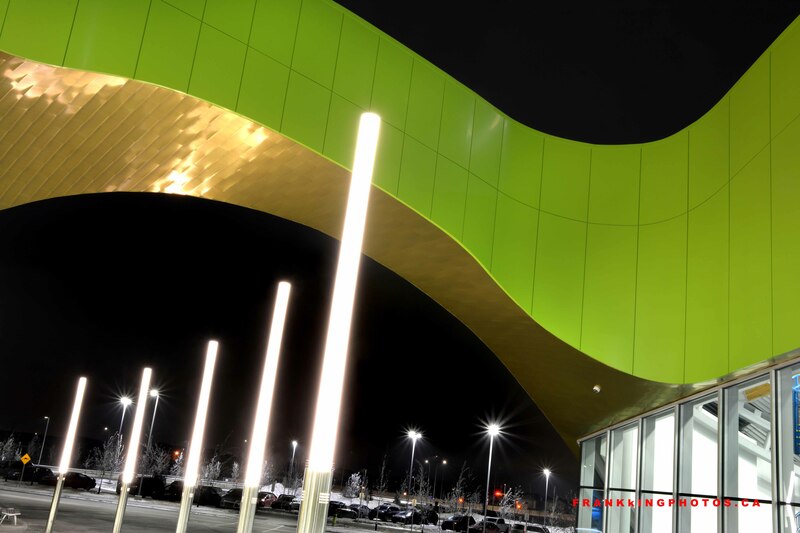 The gigantic recreation centre, which opened in early 2018, is a feast for the eyes. The wonderful curves, colours and shafts of light in the main entryway captured my attention for nearly an hour, despite the pre-dawn -20 degree temperature. Beautiful curves and bright colors, and a good capture of all the moving lines, Frank. But oh, those frigid temperatures.